If you have noticed that your swimming pool is prone to algae buildup, you aren't alone; almost two-thirds of pool owners face blooming algae twice a year. But just attacking the algae after it blooms isn't getting at the root of your problem. Phosphates in your pool's water are ultimately responsible for the green, cloudy water that algae produces. A type of organic compound found in many common products, phosphates can be introduced into your swimming pool in a number of ways. The makeup, hair products and lotion that swimmers use can be rinsed off by pool water, leaving phosphates behind. Twigs, leaves and bark might be blown into your pool and produce phosphates as they decay. Run off from your sprinklers can carry the phosphates from your lawn's fertilizer into your pool. You can seek to limit phosphate sources from leaching into your pool, but completely preventing phosphates from entering the water is difficult. How Do Phosphates Affect Swimming Pool Chemistry? Phosphates are a major food source for a number of species of aquatic plant life, including algae. When the phosphate level in your swimming pool gets too high, the algae population will also increase. High algae levels lead to many undesirable side effects for your swimming pool, such as cloudy or green water, green or mustard-colored debris on the water's surface or a slimy film covering the surfaces of your pool. You may also notice that you need to use more chemicals to treat your swimming pool's water. How Can Phosphates Be Treated? Before you can treat excess phosphates in your pool, you must first take an accurate measurement of their levels in your pool's water. A commercially-available test kit will allow you to easily test your pool's water in seconds. Once you have determined your pool's phosphate level, you can use a phosphate remover to bring the phosphate concentration back into an acceptable range, generally below 100 parts per billion; Natural Chemistry's PHOSfree is a popular removal agent. Backwash your pool's filter before adding the phosphate remover to your pool, and continue to run the filter for at least 48 hours after adding the removal agent. Continue to periodically check your pool's phosphate levels to make sure that a repeat treatment isn't necessary. 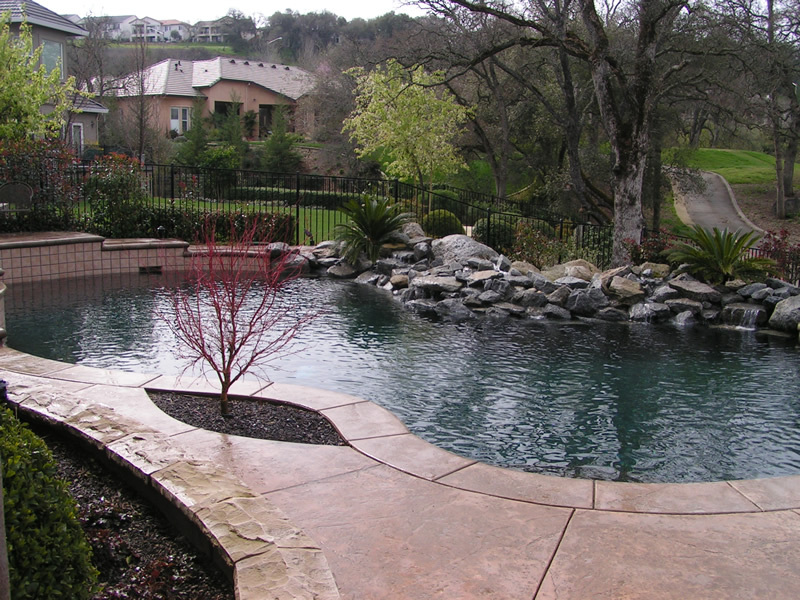 If you have any questions about the correct treatment for phosphates in your swimming pool, contact your local swimming pool service Sacramento provider for more information.